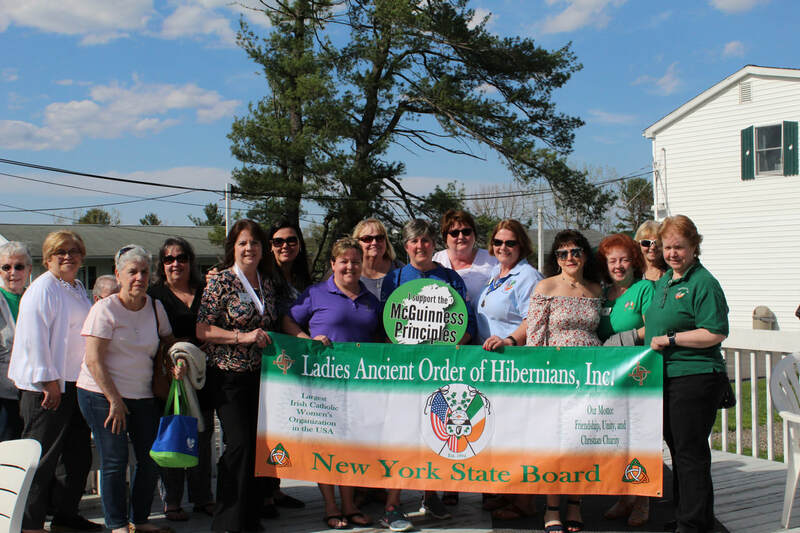 The Ladies Ancient Order of Hibernians, Inc. is a sisterhood of Irish-American Catholic women dedicated to charitable works and promoting our culture and heritage. Friendship, Unity and Christian Charity is our motto. There are many ways we do the good work of the Order, serve the community and enjoy the company of our fellow Hibernians. Sisters this is our home base for news, resources and more. If you are not yet a member and are interested in joining click here. Thank you for visiting! Check back often for updates. The LAOH and AOH of NYS have been working on a Resolution proclaiming January 21, 2019, the 100th Anniversary of the Declaration of Irish Independence. This resolution is New York State is now being circulated in the New York State Legislature. We are asking all sisters, as individuals, to contact their NYS Assembly and Senate members and ask them to sign on to the Resolution which is coming from Assemblyman Cusick's Office. The Resolution Number is LBD No. 90133-03-9. If the Resolution passes, the NYS AOH and LAOH will be in attendance on the floor of the NYS Senate and Assembly on Monday, January 28, 2019. This is an excellent way to show our presence in the community and to mark this significant event in Irish History. It is expected that the Senate session will start at approximately 10:00 am and the Assembly at 2:00 PM. Following the sessions, there will be a reception at the Albany Hibernian Hall. Please notify your members of this event; we hope you can attend this historic day in Albany. Please see the flyer for details regarding the reception. We will post updates to Facebook and the website regarding the legislative sessions and meeting times as soon as we have those details. If you have any questions, please contact me via email at laohdolores@yahoo.com. Thank you. Heroes and Heroines in in Celtic Mythology and Celebrations. Judging on the National level will begin February 15th. National winners will be announced March 29, 2019. Proceeds from this raffle will go to The Patricia Doyle Memorial Grant. The drawing will be held during the Fall Board Meeting. Winner need not be present. The $5 tickets have been sent to all divisions. For additional tickets contact LAOH NYS Fundraiser Rose Coulson. Events page: Calendar of LAOH events across the state, Board Meetings and Conventions. We extend our hand to you in Friendship and invite you to join our noble Order. Hibernians are dedicated to doing good works and celebrating our Irish-Catholic culture.